Israeli soldiers invaded, on Monday at dawn, the homes of Fateh Revolutionary Council member, Zakariya Zobeidi, and attorney Tareq Barghouth, and violently searched them while interrogating their families. 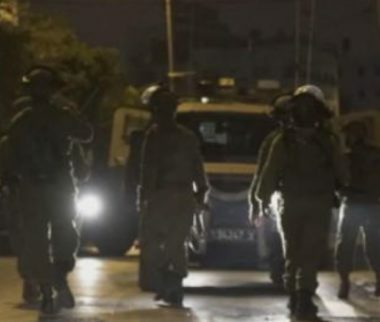 Media sources said dozens of soldiers invaded Ramallah at-Tihta area, before storming the home of Zakariya Zobeidi, the former leader of the disbanded Al-Aqsa Brigades, the armed wing of Fateh Movement. They added that the soldiers violently searched the home and interrogated the family for several hours. In addition, the soldiers invaded the home of a detained lawyer, identified as Tareq Barghouth, and searched it while interrogating family. It is worth mentioning that Zobeidi and Barghouth were taken prisoner on February 27th, before the soldiers abducted Barghouth’s wife and his brother, on March 5th, and later released the wife.